BOB is equipped with a motion sensor to measure the vibrations along the X, Y and Z axes. It is able to identify faults via the vibration Fourier transform, which shows the vibratory signature. When in operation, after learning: BOB measures the equipment vibration periodically without sending a message. If all goes well, he sends a report every 6 hours with the summary of the measurements of this period. In the event of a vibration anomaly, it sends an alert immediately. Some machines have several operating modes. BOB is able to learn these different modes of operation through artificial intelligence and identify them later, or even adapt to their changes. BOB operates on a LoRa network. So check the coverage of your industrial site here (link). If your site is covered by 2 bars ‘indoor’, it’s a good sign but it is not necessarily enough: site effects can be felt and mask BOB network! Generally, if 2G or 3G does not pass on the site, LoRa will probably not pass. To check the coverage of your site in detail, it is possible to purchase a LoRa tester to check the quality of the coverage. If the LoRa coverage is not good, the solution is to implement a local LoRa coverage extension (pay option on request). Can I move BOB when it is in operation? Once BOB has been installed and learned the vibratory pattern of the machine, it should not be moved in any case. The vibrations depend precisely on the area where BOB is placed. If it is moved, the vibratory signature will change and no longer correspond to what has been learned. In such a case, either BOB can learn the vibrations of the new zone by itself, or it will go into alert mode because it thinks it has detected a failure: it will be necessary to reset it! What happens if the machine turns off when BOB is learning? BOB pauses and starts learning again when the machine reboots. Obviously it is not ideal to put a BOB on a machine that almost never works. How to fix BOB on my machine? BOB runs outdoor or indoor? BOB runs indoors and outdoors because it is robust and resistant to rain and dust (IP 68). However, the weather conditions, especially the temperature, can alter the battery and degrade the autonomy. BOB is equipped with artificial intelligence, it is able to learn the vibratory signatures of an equipment and to deduce anomalies. Initially, BOB does not know any equipment. When turned on, it must be placed on the machine: it will listen deeply to the vibrations of the machine for a few hours, then slightly for a few days. After 7 days, BOB considers that he knows the machine and goes into normal operation. During the learning period, the results provided by BOB are therefore necessarily limited. How to access to BOB's analysis? BOB is a solution operated by éolane and Cartesian. 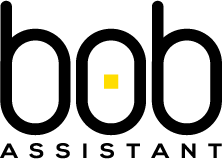 The data and reports of BOB are collected and presented in a web platform, accessible from your terminal (smartphone, tablet, PC) through the account that you have created at the initialization of the sensors. From there you can explore BOB results, log your own analyzes, and export important data or graphics. It is also possible to synchronize the platform’s analyzes to your own databases, through standard APIs. Pour toute question, le plus simple est de nous contacter !